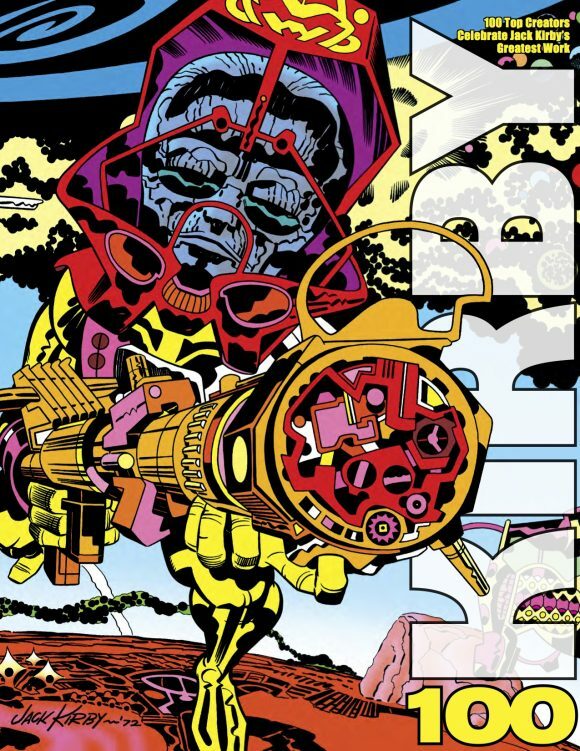 Last year was the 100th anniversary of Jack Kirby’s birth, which was widely celebrated by the comics world. (Kirby was born Aug. 28, 1917.) Between the special-edition comics and books that came out — not to mention our own sizeable salutes (click here) — it’s tough to top it all a year later. Well, a year ago, we serialized 13 selections from TwoMorrows’ Kirby 100, a marvelous book edited by Jon B. Cooke and John Morrow that collected tributes from 100 comics pros. We’re talking about folks like Walter Simonson, John Byrne, Dave Gibbons, Mike Allred and Alex Ross. Kirby 100 is available now. You can get it through your comics shop, online retailers or through TwoMorrows directly. Click here. Hey, how about Scott Shaw! on THE DINGBATS OF DANGER STREET? “!3” is unlucky unless you’re buying donuts. Ha! Thanks for stopping by, Scott! I dig, I dig, I dig,…. 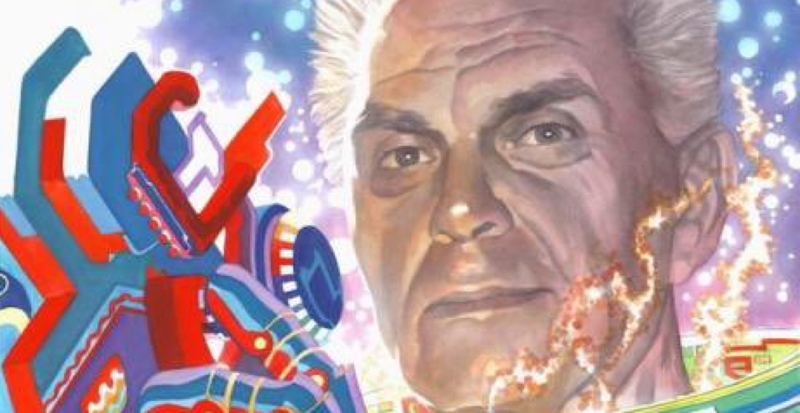 that Alex Ross painted Kirby crackle. Don’t know why all the creative geniuses at Disney and Pixar don’t incorporate and pay more homage to the man. I mean, really! Jack was the greatest visual story teller ever!